Babies are learning their native language before birth. This is made possible by the development of hearing as early as 16 weeks gestational age. A mother's voice reaches the uterus with very little distortion as the sound waves pass directly through her body. Acoustic spectroscopy, which makes possible elaborately detailed portraits of sound similar to fingerprints, has documented prenatal learning of the mother tongue. By 27 weeks of gestation, the cry of a baby already contains some of the speech features, rhythms, and voice characteristics of its mother. Newborn reactions to language are based on the sounds heard in utero: French babies prefer to look at persons speaking French while Russian babies prefer to watch people speaking Russian. Babies can learn their mother's emotional state. life in the womb is extremely active and interactive and the womb is, in fact, a classroom. Babies in the third trimester can already hear very well, and studies show that they recognise their mother’s voice, and newborns remember and show attentiveness to nursery rhymes that were read to them by their mother during the last trimester of pregnancy. The baby becomes familiar with the rhythm of the lines, and with the unique melody of the reader’s voice, and responds to the sound after she’s born. Yes, you really will be bonding with her well before birth, and she’ll be soothed by these same stories as a newborn. “If we aim to create a nonviolent world,” “we must begin with love and nourishment in the womb.” In other words, if you foster calm and peace in your baby’s environment even before she’s born by communicating with her consciously, the effects can last through her childhood, perhaps carrying that deep-seated feeling of well-being throughout her life. Imagine a world where all babies experienced this “magical beginning”! It could become a reality, starting with you. Now, that opportunity is a lot to be thankful for. The maternal womb is an optimal, stimulating, interactive environment for human development. Activity never ceases and a fetus is never isolated. Touch, the first sense, is the cornerstone of human experience and communication, beginning in the womb (Montagu, 1978). Just before 8 weeks gestational age (g.a. ), the first sensitivity to touch manifests in a set of protective movements to avoid a mere hair stroke on the cheek. From this early date, experiments with a hair stroke on various parts of the embryonic body show that skin sensitivity quickly extends to the genital area (10 weeks), palms (11 weeks), and soles (12 weeks). These areas of first sensitivity are the ones which will have the greatest number and variety of sensory receptors in adults. By 17 weeks, all parts of the abdomen and buttocks are sensitive. Skin is marvellously complex, containing a hundred varieties of cells which seem especially sensitive to heat, cold, pressure and pain. By 32 weeks, nearly every part of the body is sensitive to the same light stroke of a single hair. The first dramatic motion, one that has come to symbolize life itself, is the first heartbeat at about three weeks after conception. This rhythmic activity continues while valves, chambers, and all other parts and connections are under construction--illustrating an important fact about development: parts are pressed into service as they become available. Furthermore, use is necessary for development. Between week six and ten, fetal bodies burst into motion, achieving graceful, stretching, and rotational movements of the head, arms and legs. Hand to head, hand to face, hand to mouth movements, mouth opening, closing, and swallowing are all present at 10 weeks (Tajani and Ianniruberto, 1990). By 14 weeks, the complete repertoire of fetal movements seen throughout gestation are already in evidence (deVries, Visser, and Prechtl, 1985). Movement is spontaneous, endogenous, and typically cycles between activity and rest. Breathing movements and jaw movements have begun. Hands are busy interacting with other parts of the body and with the umbilical cord. From this early stage onward, movement is a primary activity, sometimes begun spontaneously, sometimes provoked by events. Spontaneous movement occurs earliest, probably expressing purely individual interests and needs. Evoked movement reflects sensitivity to the environment. For example, between 10 and 15 weeks g.a., when a mother laughs or coughs, her fetus moves within seconds. The vestibular system, designed to register head and body motion as well as the pull of gravity begins developing at about 8 weeks. This requires construction of six semicircular canals, fluid-filled structures in the ears, which are sensitive to angular acceleration and deceleration, and help maintain balance. The structures for tasting are available at about 14 weeks g.a. and experts believe that tasting begins at that time. Tests show that swallowing increases with sweet tastes and decreases with bitter and sour tastes. In the liquid womb space, a range of tastes are presented including lactic, pyruvic, and citric acids, creatinine, urea, amino acids, proteins and salts. Tests made at birth reveal exquisite taste discrimination and definite preferences. Until recently, no serious consideration was given to the possibilities for olfaction in utero, since researchers assumed smelling depended on air and breathing. However, the latest research has opened up a new world of possibilities. The nasal chemoreceptive system is more complex than previously understood, and is made up of no less than four subsystems: the main olfactory, the trigeminal, the vomeronasal, and the terminal system, which provide complex olfactory input to the fetus. The nose develops between 11 and 15 weeks. Many chemical compounds can cross the placenta to join the amniotic fluid, providing the fetus with tastes and odors. The amniotic fluid surrounding the fetus bathes the oral, nasal, and pharyngeal cavities, and babies breathe it and swallow it, permitting direct access to receptors of several chemosensory systems: taste buds in three locations, olfactory epithelia, vomeronasal system, and trigeminal system (Smotherman and Robinson, 1995). Associations formed in utero can alter subsequent fetal behavior and are retained into postnatal life. The evidence for direct and indirect learning of odors in utero has been reviewed by Schaal, Orgeur, and Rogan (1995). They point to an extraordinary range of available odiferous compounds, an average of 120 in individual samples of amniotic fluid! In addition, products of the mother's diet reach the baby via the placenta and the blood flowing in the capillaries of the nasal mucosa. Thus, prenatal experience with odorants from both sources probably prepare this sensory system to search for certain odors or classes of odors. In one experiment, babies registered changes in fetal breathing and heart rate when mothers drank coffee, whether it was caffeinated or decaffeinated. Newborns are drawn to the odor of breastmilk, although they have no previous experience with it. Researchers think this may come from cues they have learned in prenatal life. Although a concentric series of barriers buffer the fetus from the outside world--amniotic fluid, embryonic membranes, uterus, and the maternal abdomen--the fetus lives in a stimulating matrix of sound, vibration, and motion. Many studies now confirm that voices reach the womb, rather than being overwhelmed by the background noise created by the mother and placenta. Intonation patterns of pitch, stress, and rhythm, as well as music, reach the fetus without significant distortion. A mother's voice is particularly powerful because it is transmitted to the womb through her own body reaching the fetus in a stronger form than outside sounds. For a comprehensive review of fetal audition, see Busnel, Granier-Deferre, and Lecanuet 1992. Sounds have a surprising impact upon the fetal heart rate: a five second stimulus can cause changes in heart rate and movement which last up to an hour. Some musical sounds can cause changes in metabolism. "Brahm's Lullabye," for example, played six times a day for five minutes in a premature baby nursery produced faster weight gain than voice sounds played on the same schedule (Chapman, 1975). Researchers in Belfast have demonstrated that reactive listening begins at 16 weeks g.a., two months sooner than other types of measurements indicated. Working with 400 fetuses, researchers in Belfast beamed a pure pulse sound at 250-500 Hz and found behavioral responses at 16 weeks g.a.--clearly seen via ultrasound (Shahidullah and Hepper, 1992). This is especially significant because reactive listening begins eight weeks before the ear is structurally complete at about 24 weeks. These findings indicate the complexity of hearing, lending support to the idea that receptive hearing begins with the skin and skeletal framework, skin being a multireceptor organ integrating input from vibrations, thermo receptors, and pain receptors. This primal listening system is then amplified with vestibular and cochlear information as it becomes available. With responsive listening proven at 16 weeks, hearing is clearly a major information channel operating for about 24 weeks before birth. Vision, probably our most predominant sense after birth, evolves steadily during gestation, but in ways which are difficult to study. However, at the time of birth, vision is perfectly focused from 8 to 12 inches, the distance to a mother's face when feeding at the breast. Technical reviews reveal how extraordinary vision is in the first few months of life (Salapatek and Cohen, 1987). Although testing eyesight in the womb has not been feasible, we can learn from testing premature babies. When tested from 28 to 34 weeks g.a. for visual focus and horizontal and vertical tracking, they usually show these abilities by 31-32 weeks g.a. Abilities increase rapidly with experience so that by 33-34 weeks g.a., both tracking in all directions as well as visual attention equals that of babies of 40 weeks g.a. Full-term newborns have impressive visual resources including acuity and contrast sensitivity, refraction and accommodation, spacial vision, binocular function, distance and depth perception, color vision, and sensitivity to flicker and motion patterns (Atkinson and Braddick, 1982). Their eyes search the environment day and night, showing curiosity and basic form perception without needing much time for practice (Slater, Mattock, Brown, and Gavin, 1991). In utero, eyelids remain closed until about the 26th week. However, the fetus is sensitive to light, responding to light with heart rate accelerations to projections of light on the abdomen. This can even serve as a test of well-being before birth. Although it cannot be explained easily, prenates with their eyelids still fused seem to be using some aspect of "vision" to detect the location of needles entering the womb, either shrinking away from them or turning to attack the needle barrel with a fist (Birnholz, Stephens, and Faria, 1978). Similarly, at 20 weeks g.a., twins in utero have no trouble locating each other and touching faces or holding hands! Sense modalities are not isolated, but exist within an interconnecting, intermodal network. We close this section about fetal sensory resources by citing a few examples of how fetal senses work in tandem. We have already indicated how closely allied the gustatory and olfactory systems are, how skin and bones contribute to hearing, and how vision seems functional even with fused eyelids. When prenates experience pain, they do not have the air necessary to make sound, but they do respond with vigorous body and breathing movements as well as hormonal rushes. Within ten minutes of needling a fetus's intrahapatic vein for a transfusion, a fetus shows a 590% rise in beta endorphin and a 183% rise in cortosol--chemical evidence of pain (Giannakoulopoulos, 1994). Ultrasonographers have recorded fetal erections as early as 16 weeks g.a., often in conjunction with finger sucking, suggesting that pleasurable self-stimulation is already possible. In the third trimester, when prenates are monitored during parental intercouse, their hearts fluctuate wildly in accelerations and decelerations greater than 30 beats per minute, or show a rare loss of beat-to-beat variability, accompanied by a sharp increase in fetal movement (Chayen et al, 1986). This heart activity is directly associated with paternal and maternal orgasms! Other experiments measuring fetal reactions to mothers' drinking one ounce of vodka in a glass of diet ginger ale show that breathing movements stop within 3 to 30 minutes. This hiatus in breathing lasts more than a half hour. Although the blood alcohol level of the mothers was low, as their blood alcohol level declined, the percentage of fetal breathing movements increased (Fox et al, 1978). Babies have been known to react to the experience of amniocentesis (usually done around 16 weeks g.a.) by shrinking away from the needle, or, if a needle nicks them, they may turn and attack it. Mothers and doctors who have watched this under ultrasound have been unnerved. Following amniocentesis, heart rates gyrate. Some babies remain motionless, and their breathing motions may not return to normal for several days. Finally, researchers have discovered that babies are dreaming as early as 23 weeks g.a.when rapid eye movement sleep is first observed (Birnholz, 1981). Studies of premature babies have revealed intense dreaming activity, occupying 100% of sleep time at 30 weeks g.a., and gradually diminishing to around 50% by term. Dreaming is a vigorous activity involving apparently coherent movements of the face and extremities in synchrony with the dream itself, manifested in markedly pleasant or unpleasant expressions. Dreaming is also an endogenous activity, neither reactive or evoked, expressing inner mental or emotional conditions. Observers say babies behave like adults do when they are dreaming (Roffwarg, Muzio, and Dement 1966). Through many windows of observation, we can now see--for the first time in human history--what is actually happening in the womb. There is good news and bad news. We can no longer think that the placenta can protect the prenate from anything bad going on in the mother's body, or that the mother's body can protect the prenate from bad things going on in her world. Mother and baby face together the perils of air, water, and earth compromised by the toxic residues of modern chemistry and physics. Parents are perhaps the last ones to learn (and their children the first ones to suffer) these tragic realities of modern life. Pollution has many sources, beginning with the physical environment surrounding the mother and father. Numerous chemicals loose in the environment reach them where they work or find them in the garage or in cleaning supplies in the kitchen. Solvents, metals, pesticides, preservatives, fumes, and various forms of radiation are capable of interfering with reproduction. Chemical pollution also reaches us in the medical system through prescribed drugs which may put the well-being of the prenate at risk. Some medicines, like aspirin are hazardous at birth, as are some powerful anesthetics. Not long ago, an antibacterial soap used widely in hospitals and dispensed in public areas was discovered--after years of use--to be neurotoxic. Parents, too, can be a source of contamination and injury to the unborn baby as a consequence of their personal habits and lifestyle choices. Drugs thought to be harmless to adults can be harmful to babies because they are not able to handle these chemicals in adult doses. Nicotine, caffein, and aspirin, substances ubiquitous in adult life, can affect the course of growth and development of babies. 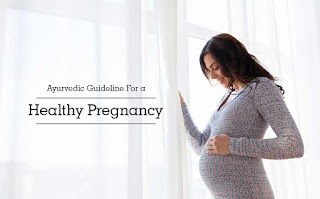 The damaging effects of alcohol have been known for centuries and the most recent research (2005) warns that no level of alcohol in the pregnant mother is safe. Not so well known, and perhaps not yet even tested, are the toxic effects of experimental “street drugs” which damage parents as well as babies. All these discoveries are revealing the profound importance of very early parenting, beginning, not at the time of birth, but even before the time of conception when it is still possible to avoid a host of serious problems. An additional reason for parents to begin active parenting at conception is the discovery that babies in the womb are also developing more rapidly than previously thought possible. From the second month of pregnancy, experiments and observations reveal an active prenate with a rapidly developing sensory system permitting exquisite sensitivity and responsiveness. Long before the development of advanced brain structures, prenates are seen interacting with each other and learning from experience. They seem especially interested in the larger environment provided by mother and father, and react to individual voices, stories, music, and even simple interaction games with parents. The quality of the uterine environment is determined principally by parents. The opportunities for parents to form a relationship with the baby in the womb are significant and remarkable. This contrasts sharply with the previous view that prenates did not have the capacity to interact, remember, learn, or put meaning to their experiences. Only a decade ago, doctors typically told pregnant mothers and fathers that talking to a baby in the womb was useless and unrealistic. Now there is mounting evidence for memory and learning in utero and for precocious communication before the stage of language. These abilities of unborn babies underlie the successes reported in a series of scientific experiments with prenatal stimulation and bonding. They are also a basis for the personal stories occasionally shared by children and adults about their experiences before birth. Atkinson, J. and Braddick, O. (1982). Sensory and Perceptual Capacities of the Neonate. In Psychobiology of the Human Newborn. Paul Stratton (Ed. ), pp. 191-220. London: John Wiley. Birnholz, J., Stephens, J. C. and Faria, M. (1978). Fetal Movement Patterns: A Possible Means of Defining Neurologic Developmental Milestones in Utero. American J. Roentology 130: 537-540. Birnholz, Jason C. (1981). The Development of Human Fetal Eye Movement Patterns. Science 213: 679-681. Busnel, Marie-Claire, Granier-Deberre, C. and Lecanuet, J. P.(1992). Fetal Audition. Annals of the New York Academy of Sciences 662:118-134. Chapman, J. S. (1975). The Relation Between Auditory Stimulation of Short Gestation Infants and Their Gross Motor Limb Activity. Doctoral Dissertation, New York University. Chayen, B., Tejani, N., Verma, U. L. and Gordon, G.(1986). Fetal Heart Rate Changes and Uterine Activity During Coitus. Acta Obstetrica Gynecologica Scandinavica 65: 853-855.
deVries, J. I. P., Visser, G. H. A., and Prechtl, H. F. R.(1985). The Emergence of Fetal Behavior. II. Quantitative Aspects. Early Human Development 12: 99-120. Fox, H. E., Steinbrecher, M., Pessel, D., Inglis, J., and Angel, E.(1978) Maternal Ethanol Ingestion and the Occurrence of Human Fetal Breathing Movements. American J. of Obstetrics/Gynecology 132: 354-358. Giannakoulopoulos, X., Sepulveda, W., Kourtis, P., Glover, V. and Fisk, N. M.(1994). Fetal Plasma Cortisol and B-endorphin Response to Intrauterine Needling. The Lancet 344: 77-81. Montagu, Ashley (1978). Touching: The Human Significance of the Skin. New York: Harper & Row. Roffwarg, Howard A., Muzio, Joseph N. and Dement, William C. (1966). Ontogenetic Development of the Human Sleep-Dream Cycle. Science 152: 604-619. Salapatek, P. and Cohen, L.(1987). Handbook of Infant Perception. Vol. I. New York: Academic Press. Schaal, B., Orgeur, P., and Rognon, C. (1995). Odor Sensing in the Human Fetus: Anatomical, Functional, and Chemeo-ecological Bases. In: Fetal Development: A Psychobiological Perspective, J-P. Lecanuet, W. P. Fifer, N. A., Krasnegor, and W. P. Smotherman (Eds.) pp. 205-237. Hillsdale, NJ: Lawrence Erlbaum Associates. Shahidullah, S. and Hepper, P. G. (1992). Hearing in the Fetus: Prenatal Detection of Deafness. International J. of Prenatal and Perinatal Studies 4(3/4): 235-240. Slater, A., Mattock, A., Brown, E., and Bremner, J. G. (1991). Form Perception at Birth: Cohen and Younger (1984) Revisited. J. of Experimental Child Psychology 51(3): 395- 406. Smotherman, W. P. and Robinson, S. R.(1995). Tracing Developmental Trajectories Into the Prenatal Period. In: Fetal Development, J-P. Lecanuet, W. P. Fifer, N. A. Krasnegor, and W. P. Smotherman (Eds. ), pp. 15-32. Hillsdale, NJ: Lawrence Erlbaum. Tajani, E. and Ianniruberto, A. (1990). The Uncovering of Fetal Competence. In: Development Handicap and Rehabilitation: Practice and Theory, M. Papini, A. Pasquinelli and E. A. Gidoni (Eds. ), pp. 3-8. Amsterdam: Elsevier Science Publishers.